Fills 24 Size "0" capsules. 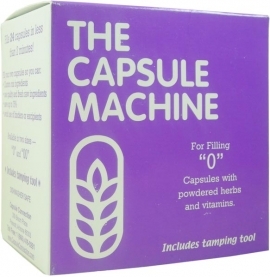 An encapsulator that can be used to encapsulate herbs in size "0" capsules. Put large part of the Capsule machine (the base) on enclosed stand & then put on flat bowl or plate. Separate capsules. Push longer part, open end up, into base & shorter part into the cover. What is The Capsule Machine made of? The type of plastic of the top and base of The Capsule Machine, as well as the stand and tamper is ABS. ABS plastic material adheres to requirements regarding contact with food and drinking water, which have been established by the Food and Drug Administration, the Federal Health Office, the den Regulations of the British Plastics Organization, and the Bedarfsgegenst?ndeverordnung as well as other national and international regulations. ABS has good chemical and stress-cracking resistance to inorganic salt solutions, alkalis, mineral acids (except strong oxidizing acids), and some mineral, vegetable, and animal oils. Petroleum-based oils, solvents, and paints SHOULD NOT BE USED, as they will cause the material to craze. There is a possibility that the plastic can be damaged by powders with a high oil content of eugenol. Eugenol is an essential oil that is contained in herbs such as cloves, nutmeg, cinnamon and bay leaf. The two springs of The Capsule Machine are made of Delrin Acetal plastic. This material adheres to the regulations established by the Food and Drug Administration for repeated contact with food and the regulations established by The National Sanitation Foundation for use in drinkable water. The spreader card is made of PVC. 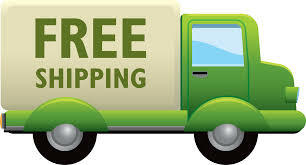 If you don?t want to use PVC, you can make a card by cutting paper card stock or cover stock, or another material. This capsule filler is very simple to use and works like a charm! If anyone is trying to fill capsules, this is the way to go! The capsules are filled, there is less spillage and you save a lot of time. It comes highly recommended. I ordered this Capsule Machine recently and it arrived quickly and very well packaged. I had ordered the Bulk Olive Leaf Extract OLIVE LEAF MAX last fall and because the powder was so very bitter I hadn't been using it. I thought that I'd better make capsules or I would never use the remedy. When the Capsule Machine arrived I wondered if I could figure it out! But, slowly, following directions given, I have just used it successfully and with great satisfaction -- and I now have 24 beautiful, clean and professional looking capsules of this excellent product. 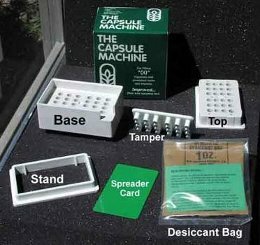 This well-made and ingenious "machine" is made of very sturdy plastic, easy to clean; it's made in the USA. It is definitely a new member of the family that will help us keep healthy by taking the wonderful bulk products offered by Olivus! Wish I'd ordered this amazing gadget sooner.....so if you are concerned that is won't actually work well, banish those worries!!! THANK YOU!! !